Through prisms of Jewish values and culture, we explore how we ‘show up’ in our everyday lives. 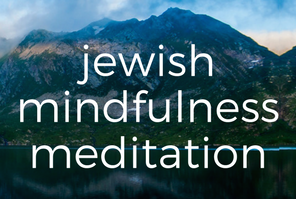 We are inspired by ancient wisdom and contemporary Jewish writing, including nonfiction, story, and folktales. Using contemplative and experiential practices, with focused listening and speaking, we discover how our present life reflects aspects of our individual and collective past; we note who we are, how we have grown, and actively learn from others through structured sharing in a safe, non-judging environment. Activities may also include writing, light movement, and visualization. Each session is from 9:45 a.m.to 11:30 a.m. on Sunday mornings at Joyce Schachter’s home. There is no required pre-reading or preparation. Bring an open heart and the intention to share sincerely. You may attend one, any or all. Our 2018-2019 booklist includes: The Wisdom of Not Knowing by Estelle Frankel (Nov 4/18 and Dec 2/18); From Enemy to Friend: Jewish Wisdom and the Pursuit of Peace by Rabbi Amy Eilberg (Feb 3/19 and March 3/19); and The Weight of Ink by Rachel Kadish (May 5/19 and June 2/19). Books from previous years included: Restoring Life’s Missing Pieces by Caren Goldman; Saying No and Letting Go by Edwin Goldberg; Age-ing and Sage-ing by Zalman Schachter-Shalomi; This is Real and You Are Totally Unprepared by Alan Lew; Increasing Wholeness by Elie Spitzer; and Bridge to Forgiveness by Karen Kedar. Full schedule is avaiable here. Please email mindfulness@orh.ca for more information and rsvp.